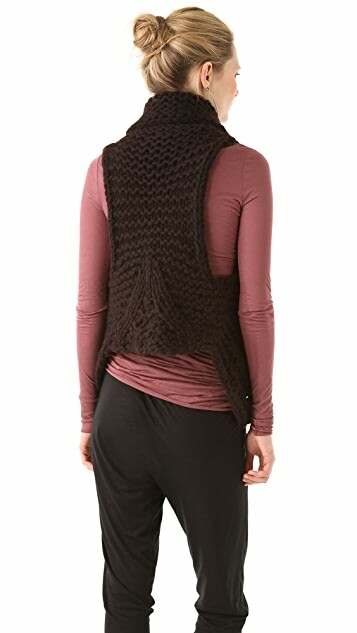 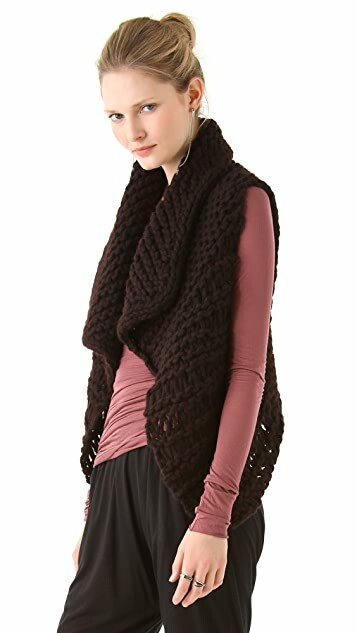 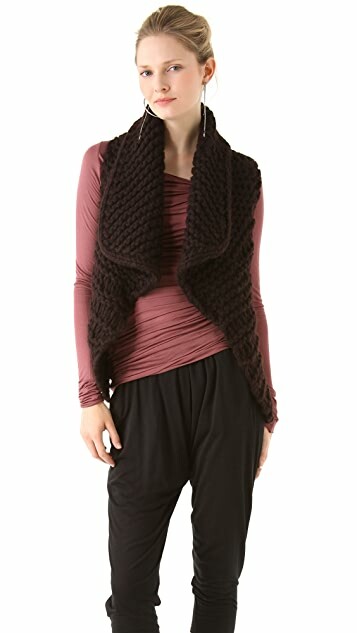 Soft, chunky stitches knit together giving structure to this cozy Helmut Lang vest. 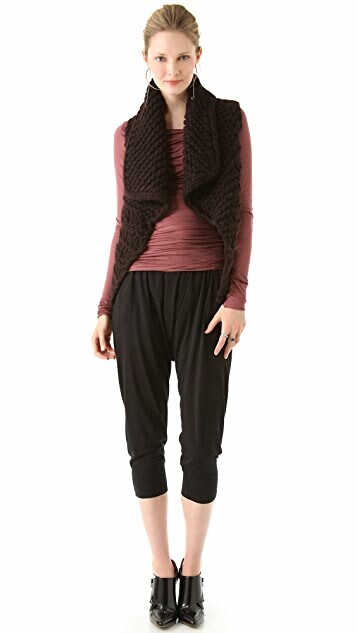 A wide shawl collar lends an asymmetrical line to the open placket. 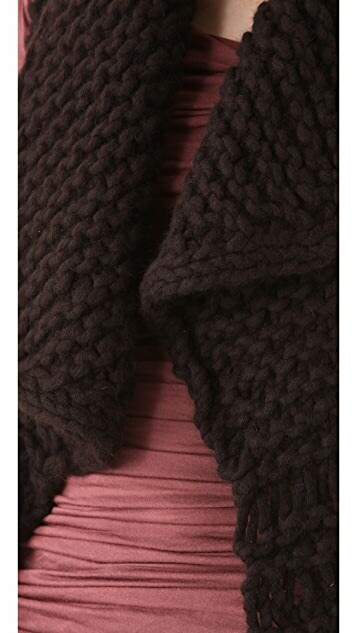 Unlined.